We’ve discussed the potential decriminalization of marijuana before, particularly as it pertains to social and criminal justice issues, with lives derailed by what often turns out to be youthful indiscretions. Not only has a federal law been introduced, but in May, Senator Scutari of New Jersey recently introduced a bill that would allow for its recreational use here in New Jersey. Now, legislators in New Jersey have identified a new incentive: According to a recent report by Rutgers University Economic Advisory Service, New Jersey’s pension system is the least-funded in the country, and payments are increasingly placing pressure on the state’s budget, all in the face of slowing population and job growth. This creates a financial incentive to gain access to a market where consumers spent close to $7 billion in 2016 alone, and has led to newly proposed state legislation from Assemblyman Reed Gusciora from Trenton, who has proposed to legalize marijuana in Atlantic City (NJ), known for its gambling-income potential. There is a difference between decriminalization and legalization, and it’s where many politicians draw the line. 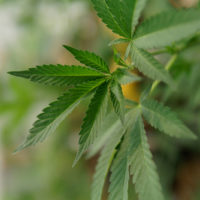 New York Governor Cuomo, for example, has proposed decriminalizing the possession of marijuana, but still does not support legalizing its use. Currently in New Jersey, possession of marijuana is punishable by a $1,000 fine and spending six months in jail, and if you are caught with more than 50 grams and/or distributing any amount in the state, you could be convicted of a felony. However, the state does allow possession and consumption for medical purposes. This is significant, as, according to the U.S. Sentencing Commission and FBI, 99 out of every 100 marijuana arrests in the country are made under state versus federal law. New Jersey lawmakers saw an opportunity for financial change in touring Colorado last year, finding that the state of Colorado had collected more than $150 million in taxes on marijuana sales alone. Any progress New Jersey makes could influence nearby states, like New York. In New Jersey, lawmakers in support of legalizing its use have a goal of having legislation signed within 100 days of a Democratic administration, and starting sales one year later. If you or a loved one has been arrested for crimes related to marijuana, you should meet with an experienced drug offense defense attorney right away. Just because it is marijuana you’ve been caught with doesn’t mean it won’t have serious repercussions for your life, record, and job prospects. Contact the office of Phillip J. Murphy today for legal guidance and with any questions you might have–we provide the very best in legal advice and representation to clients throughout New Jersey and New York–and our initial consultation to develop a plan of action is free.